Avoid Cleaning your Collector Coins of Canada, Here's Why? Avoid Cleaning your Collector Coins, Here’s Why? If you collect some of the valuable coins of Canada, then you know that taking good care of them is crucial for their longevity. If you happen to have some very old coins, especially ones which were in circulation, cleaning them is something many believe should be done in order to get rid of all the impurities. But you don’t want to use products or methods of cleaning that might potentially ruin your coins. That is why cleaning your coins is not always advised, or if absolutely required, best left to an experienced professional. Continue reading to learn why you should not clean your coins by yourself. • Gold – even though gold coins are among the least reactive of all, if you’ve ever seen gold coins with a warm or soft yellow colour over time, that is patina. • Silver – similar to gold, these coins usually become either deep brownish-grey or a light grey shade, with the recessed portions of each coin taking a darker toning. • Copper – coins typically feature very distinct patina that ranges from a light brown hue to a deep chocolate colour, with shades varying depending on the coin’s age and the composition of metals used in its production. • Nickel – coins will usually have either a dark grey or soft grey shade, and the more protected areas of the coin will be home to darker toning. In essence, the way in which a coin changes its colour over time can be heavily affected by its environment, time in circulation or other outside factors. Even so, collectors highly favour the natural appearance of such coins over pieces that feature altered surfaces damaged by DIY cleaning attempts. That is why it is often a bad idea to clean your coins in an attempt to increase their value. Why are Cleaned Coins Practically Worthless in the Numismatics World? The fact of the matter is that, simply put, numismatists just don’t want to have possession of cleaned coins – often times, such coins are far less valuable than coins which aren’t cleaned. Additionally, with DIY cleaning methods, the end result will be much more than just removing the original colouration. In fact, a simple surface rinsing using just water can remove debris and pieces of metal from the coin. Add to that, abrasive cleaners such as acids, toothpaste, baking soda and what you’re left with is a situation in which almost the entire protective surface of the coin gets removed, causing irreparable damage to the coin. Whether you want to learn about professional coin cleaning methods, where to find the best deals or information about auctions, Colonial Acres is the place to be. Visit our web page where you’ll find a vast inventory of rare and valuable coins of Canada. You can even sell your coins or join the frequently-held auctions to grab special offers. 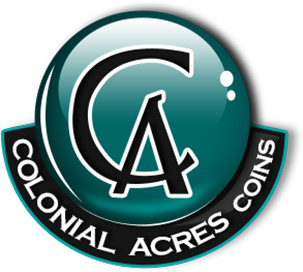 Simply contact our knowledgeable professionals or go the Colonial Acres website and explore the abundance of collectible coins we offer.